You know Christmas is going to be here before we know it, right? I mean, it's already August, back-to-school is everywhere, stores have their Halloween and Fall decor for sale. 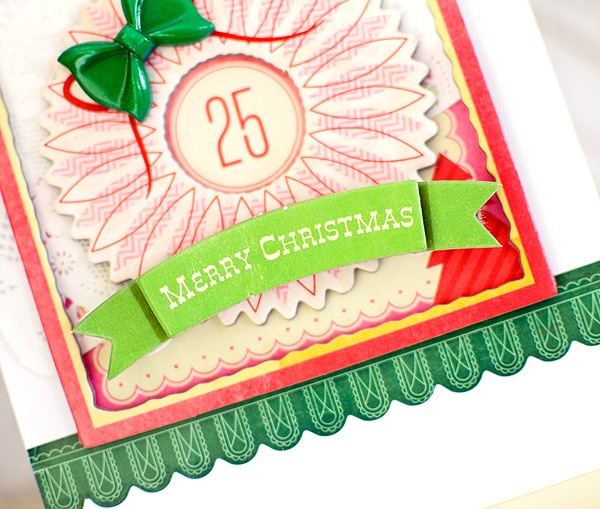 Most of the scrapbooking companies are releasing their holiday collections...Yikes! How has the year gone by so fast?! Didn't mean to scare or offend anyone there with my musings, but Christmas has just popped up on my radar and since this is a Festive Friday post, I had to share that. 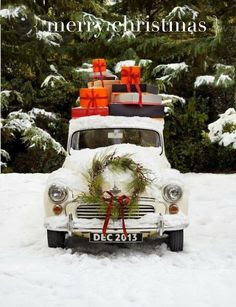 Is anyone else thinking about the holidays yet? I used all Crate Paper goods here (except the doily). Although I like this week's picture a lot, I wasn't too sure what to do for the challenge so I took the wreath as my inspiration. The card has a very different feel to it than the photo, I know, but that's kind of the point of a challenge, isn't it? Not to replicate the picture exactly, but to see something in the composition that draws you in and lead with that. I took the pink wreath from Sleigh Ride, the green resin bow from Oh, Darling, the pink frame from Love Notes, the Merry Christmas banner from Bundled Up, and the green sticker trim from On Trend. That just about covers every collection CP has, doesn't it?! We've recently started offering up some mid-challenge DT inspiration over at FF. It's strictly if-you-have-time-contribute-if-not-it's-okay. I found a bit of time last week to make a second card, which is much more traditional than the first. 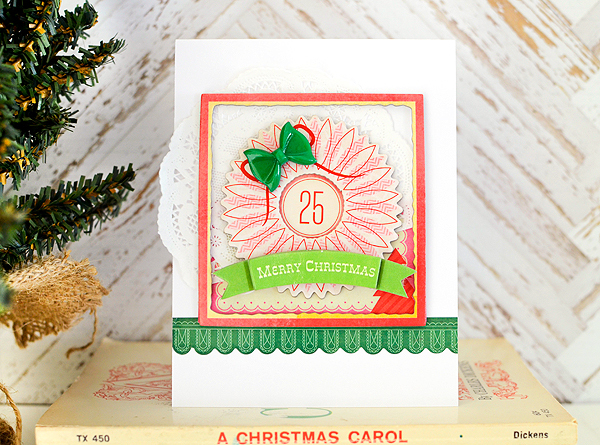 I have a bunch of Cavallini embellishments which I love but always seem to forget about using. 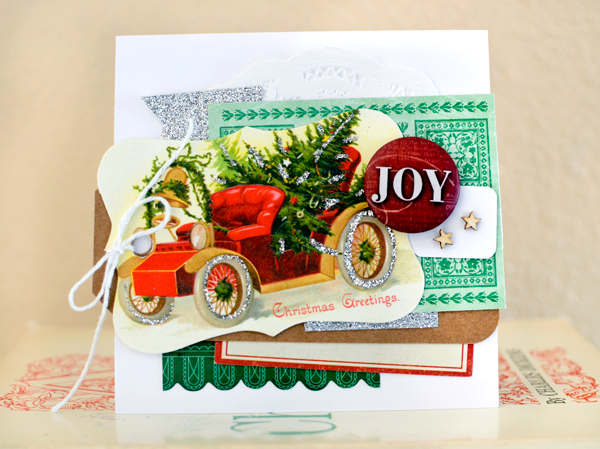 This tag with the old-fashioned truck on it came from a tin of Christmas tags and is pretty perfect for the photo, don't you think? I used a couple more CP goodies (recognize the green scallop trim?! 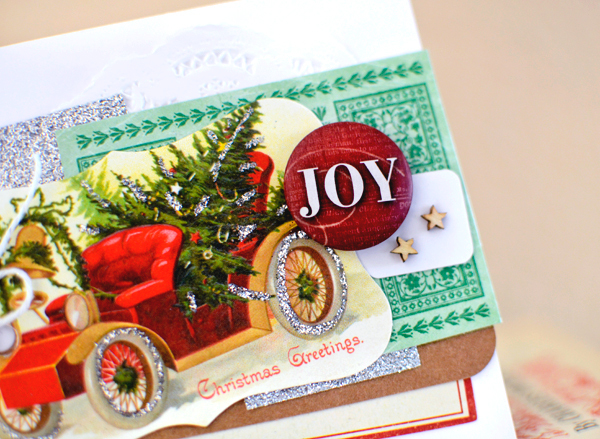 ), and the red JOY badge is from Prima. Although I've mostly moved out of the shabby, vintage-style when creating, it's fun to get back to it every now and then. There will be a new challenge going up on Friday, but you still have time to get your submission in and see the offerings from our talented DT. 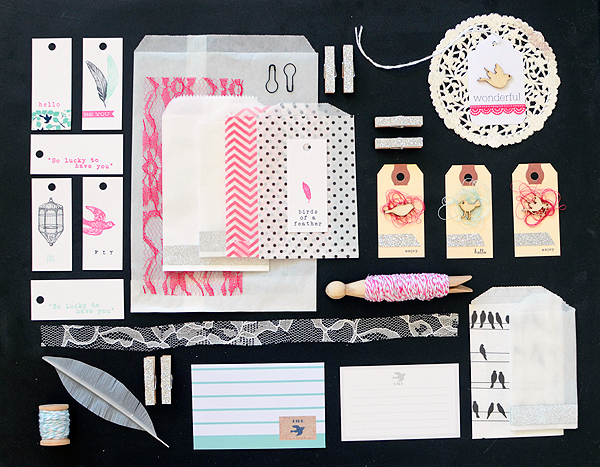 In other news, I got my first kits from Gossamer Blue last week (EEK!) and I can't wait to show you what I'm working on (you'll have to wait a couple weeks, though). I also just received the Notes & Things collection from Crate...It. Is. Awesome. It's tremendously versatile and so, so, so pretty. I'll be popping in later this week to share a few pieces of the collection with you. 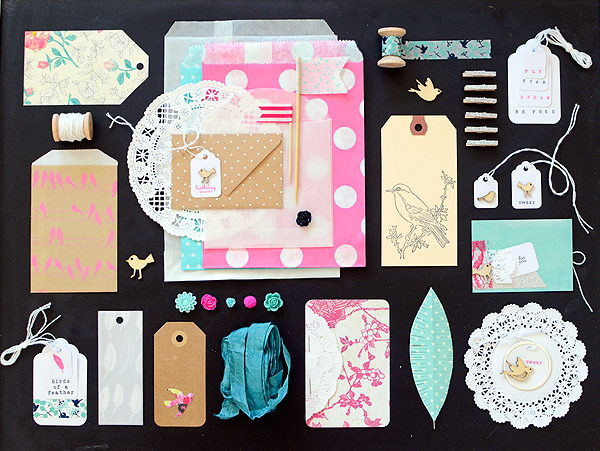 I also just listed the new Birds of a Feather gift wrap/paper kit in my Etsy shop. I love this kit! I have seriously been conceiving it in my head for a couple of years so I am very excited to have it completed and listed. There will be a post dedicated to it one of these days...Until then, please check it out here. And just to celebrate the new addition, ALL KITS ARE ON SALE this week! They are all 20% off--no coupon code needed. Pretty please tell your friends! I'll see you back here in a couple of days! LOVE your cards...so pretty. I'm such a fan of Cavallini products..love the smidges of glitter. Your kits are so very gorgeous! So cute!! 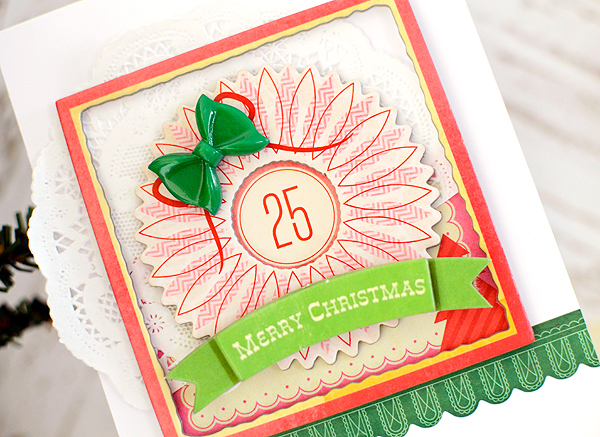 Love your cards with all the sweet layers!